The result was a significant reduction in dust emissions, creating a safer workplace and offering a measurable return on investment. With Conveyor 0 running in the background, the air is clear and the work area is compliant. Continental Cement has been in operation since 1903. Over more than a century, the company has continued to improve and increase operations to reach a current cement production capacity of 1.2 million short tons (approx. 1.1 million tonnes) of clinker annually. 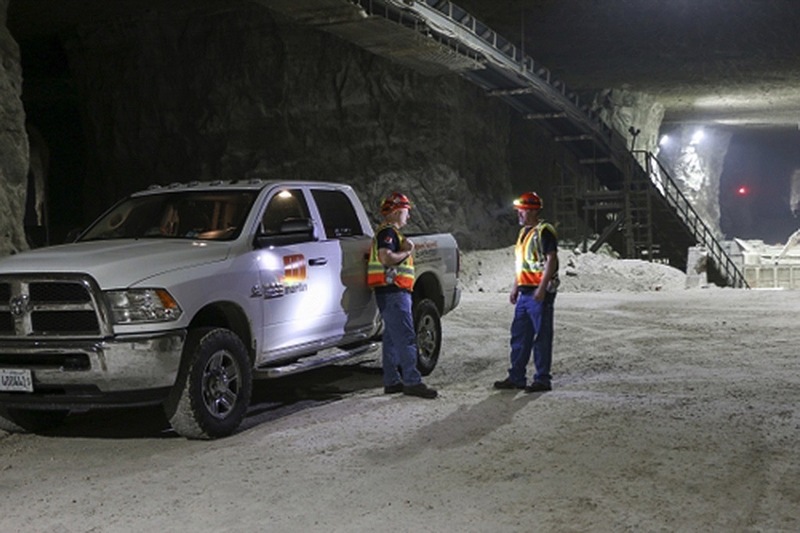 A 350 foot (106 m) underground mine now provides the primary source of limestone, which makes up 75% of the raw material required to produce the meal in the company’s Type I/II, and Type III Portland cement. Yielding 1.6 million short tons (approx. 1.4 million tonnes) of limestone annually, the extracted material is transported via truck and high-speed conveyors in order to move it to the surface, where it is held in a 100,000 ton (approx. 91,000 tonne) outdoor storage pile, then processed through a four-stage preheater/precalciner dry process cement kiln. Fifty-ton trucks dump 600 to 650 t/h (544 to 589 mt/h) of extracted limestone into an underground hopper that feeds an impact crusher, which reduces the rocks to 4-in. (101 mm) minus. The aggregate is then loaded onto Conveyor 0, a 60-inch (1524 mm) wide belt traveling approximately 700 fpm (3.5 m/s) for 400 feet (122 m). The rock is discharged through a transfer chute onto Conveyor 1, travelling up the 1,300 foot (400 m) inclined belt to the surface and dropping 20 feet (6 m) onto the outdoor storage pile. 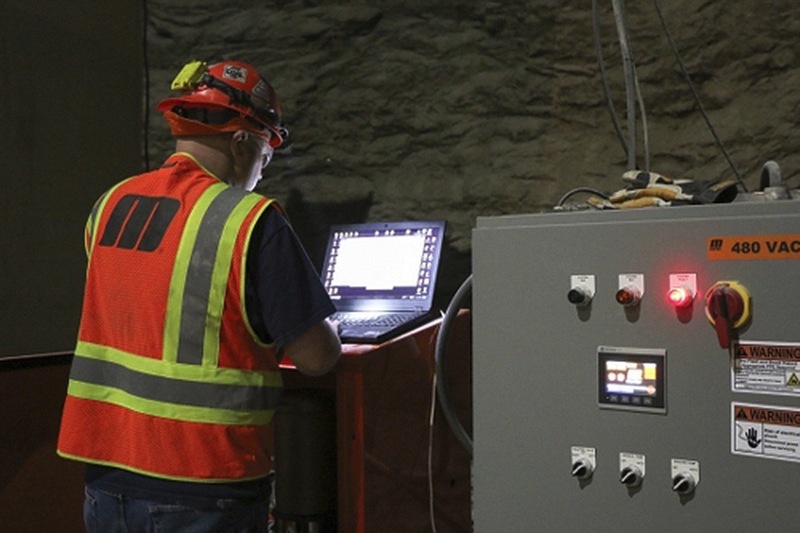 “The two main areas we identified as having unacceptable dust emissions were at the underground crusher hopper and outdoors where the material was discharged onto the stockpile,” explained Environmental Manager Leonard Rosenkrans. The original dust control equipment followed a traditional approach, with a goal of wetting the surface of the cargo. However, operators learned that limestone dust was not being adequately controlled by the water alone. Martin Engineering representatives visited the site with a trailer containing a fully functional Martin® Dust Control Unit (DCU), allowing a full demonstration of the unit’s capabilities. Conducting an end-to-end walkthrough of the cargo flow, technicians were able to determine the best course of action. 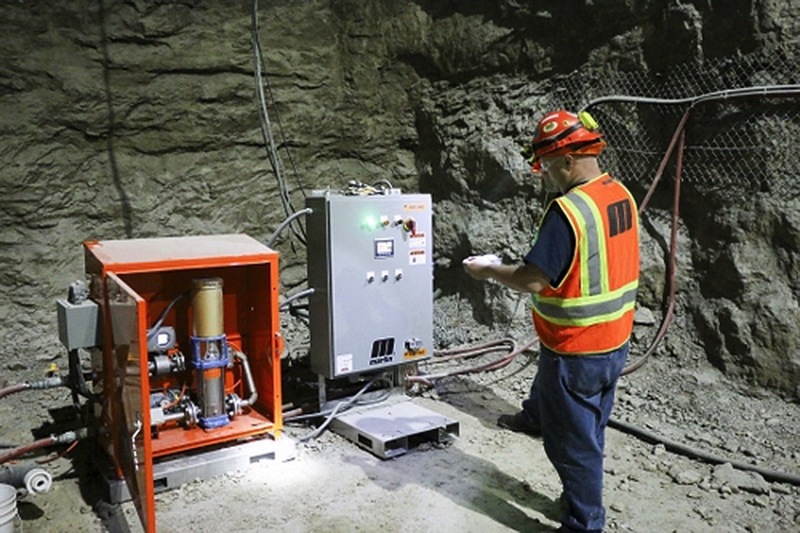 “After inspection, we devised a plan that optimized the dust control at both locations, while using as much common equipment as possible,” said Brian Nance, Product Engineer at Martin Engineering. The dust management system treats the material from the top and bottom during discharge. Integrating the system with the plant’s PLC helps operators to monitor and adjust chemical outputs. Monitors, valves and boosters are in accessible cabinets, so the system is easy to inspect and maintain. There are 22 employees in the mine. 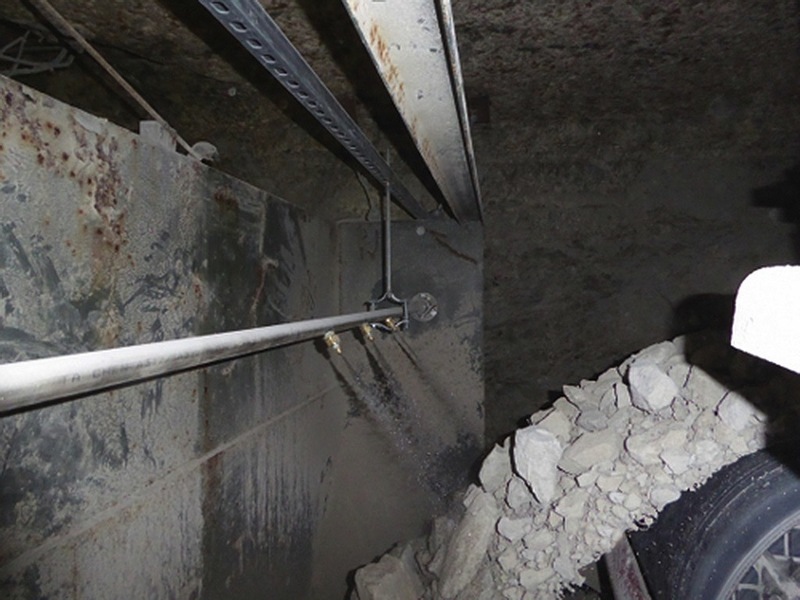 The cost of cement industry dust to society and workers has been studied in depth by the EPA to justify dust regulations.1 The cost of the installation was about $50,000 and the annual maintenance and chemical costs are about $35,000 per year. The 5 year Net Present Value (NPV) of the costs plus the investment is about $200,000. Using the data from the EPA report, the benefit to society created by Continental from being proactive in the mine is about $375,000. So, the intuitive decision to be proactive in protecting the workers and surrounding neighborhoods was a wise choice. There are many ways to look at the direct benefit to the company, including reduced health and safety issues as well as increased equipment life. Sometimes it pays just to do the right thing. This unique strategy to control dust emission is an awesome idea.